Do you feel good about the Cowboys and Patriots again? Is the Giants’ season now officially over? 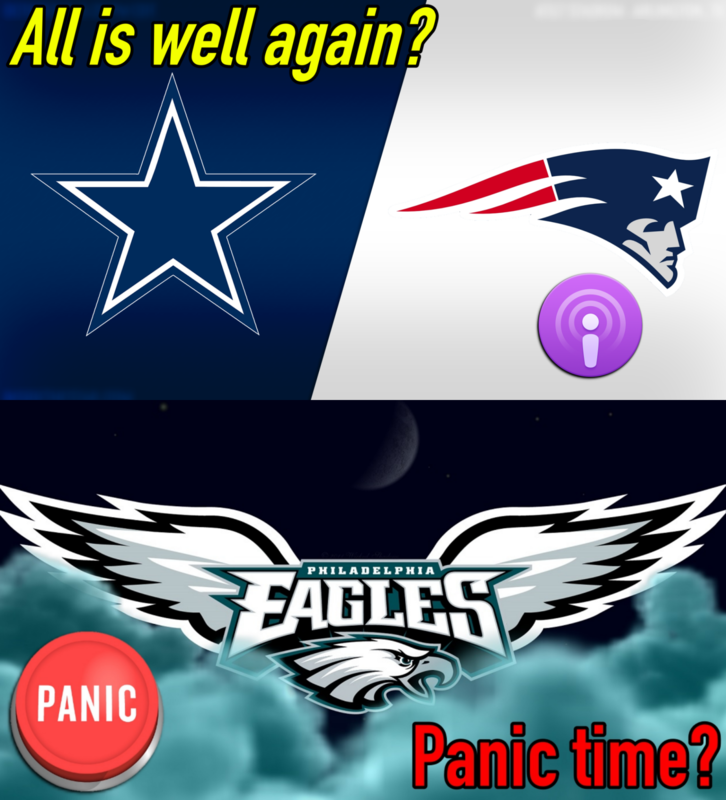 Time to hit the panic button in Philly? What should the Steelers do to address concerns now? Mayfield, Rosen, Allen, Darnold — What do you make of the rookies’ performances? Ok with Earl Thomas’s gesture after being injured? (Colts/Bucs) What do you make of these coaches’ comments?